This herbaceous or soft-wooded, perennial plant usually reaches 1-1.5 m in height. It has ribbed, often purplish, spreading branches, and nearly opposite, velvety, heart-shaped, pointed, randomly-toothed leaves 6-15 cm long and 4-10 cm wide, and, in the leaf axils, bell-shaped, nodding flowers to 2 cm wide, yellow with 5 dark purple-brown spots in the throat, and cupped by a purplish-green, hairy, 5-pointed calyx. After the flower falls, the calyx expands, ultimately forming a straw-coloured husk much larger than the fruit it encloses. 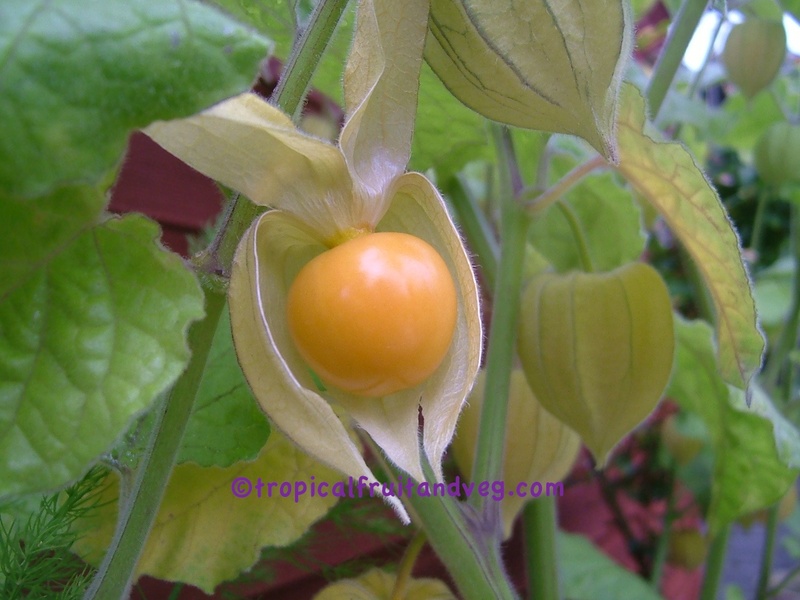 The berry is globose, 1-2 cm wide, with smooth, glossy, orange-yellow skin and juicy pulp containing numerous very small yellowish seeds. 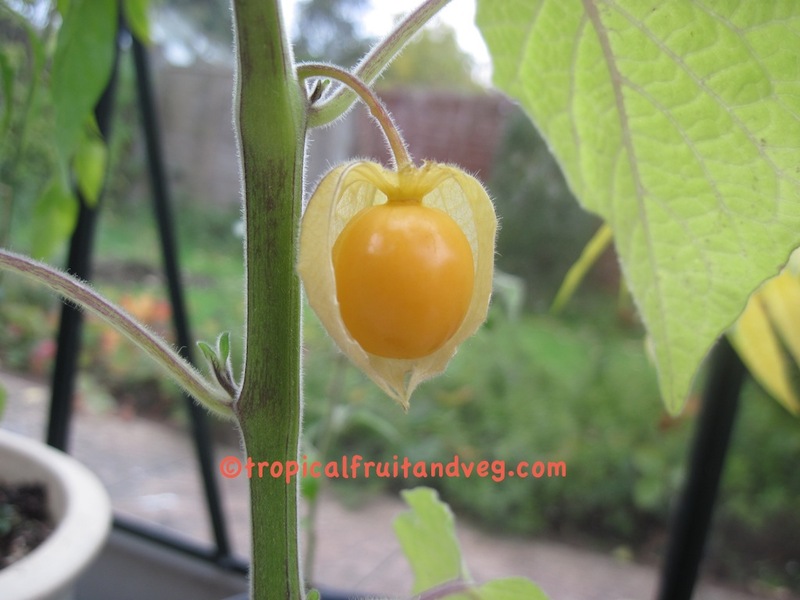 When fully ripe, the fruit is sweet but with a pleasing grape-like tang. The husk is bitter and inedible. 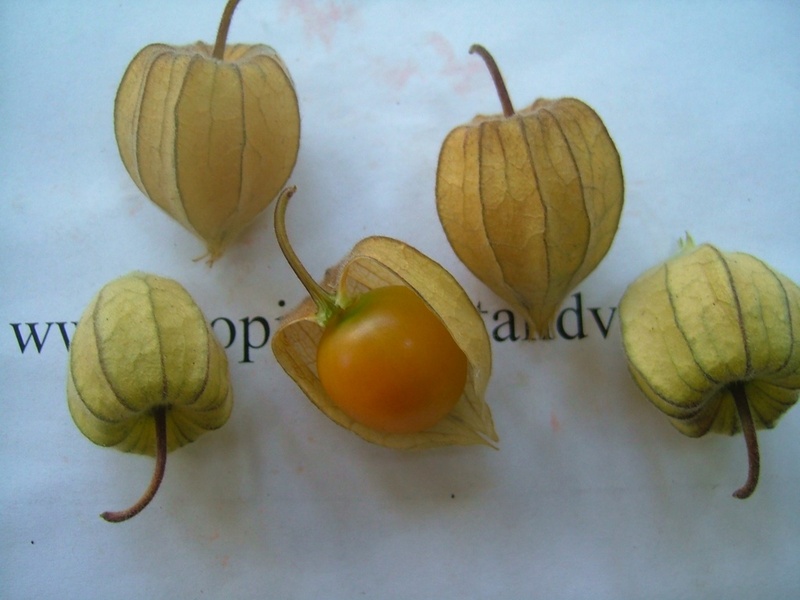 In addition to being canned whole and preserved as jam, the cape gooseberry is made into sauce, used in pies, puddings, chutneys and ice cream, and eaten fresh in fruit salads and fruit cocktails. 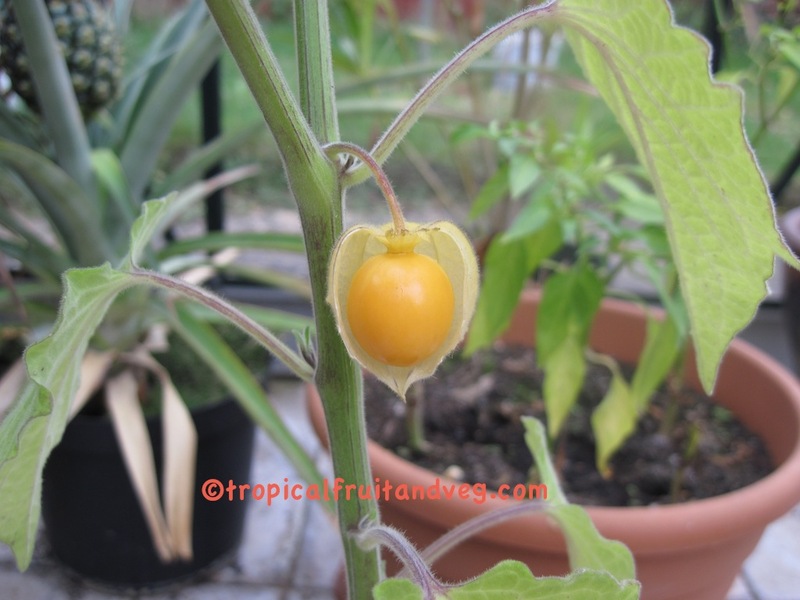 The cape gooseberry is an annual in temperate regions and a perennial in the tropics. 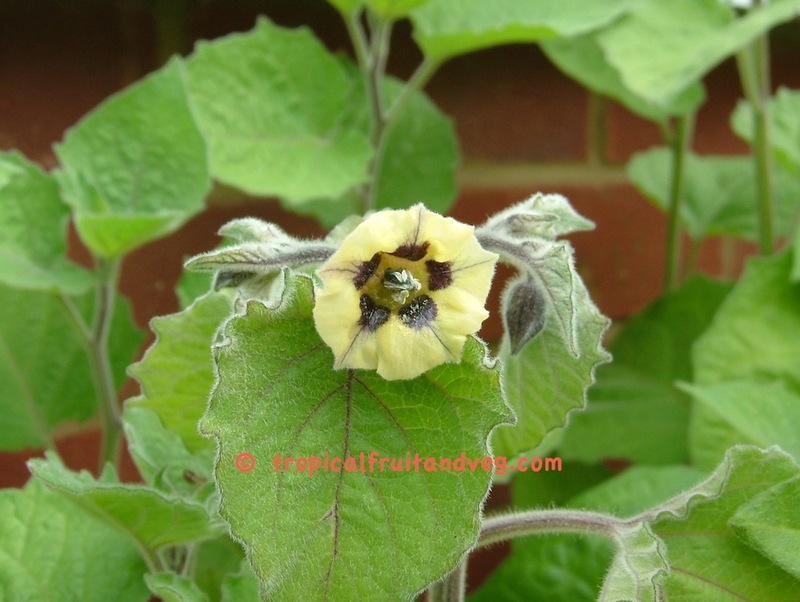 In England, the plants have been undamaged by 3 degrees of frost. 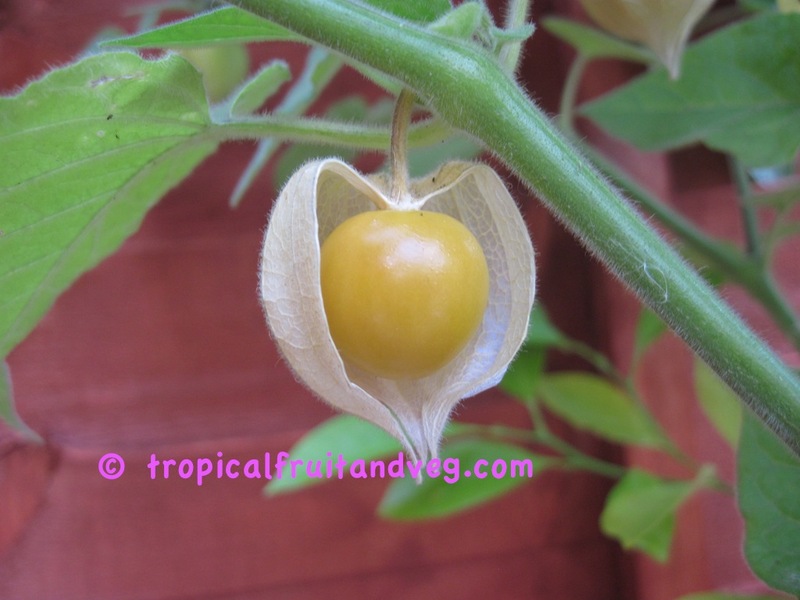 The plant needs full sun but protection from strong winds; plenty of rain throughout its growing season, very little when the fruits are maturing. 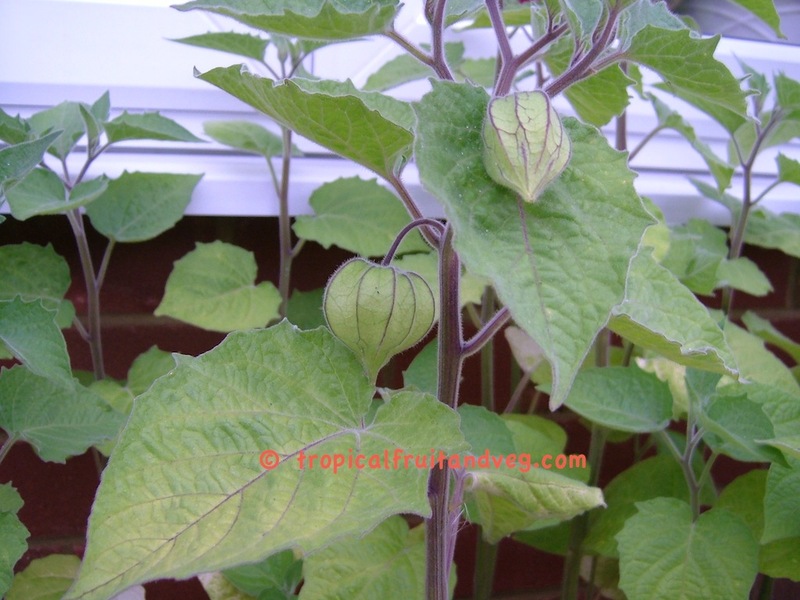 The cape gooseberry will grow in any well-drained soil but does best on sandy to gravelly loam. 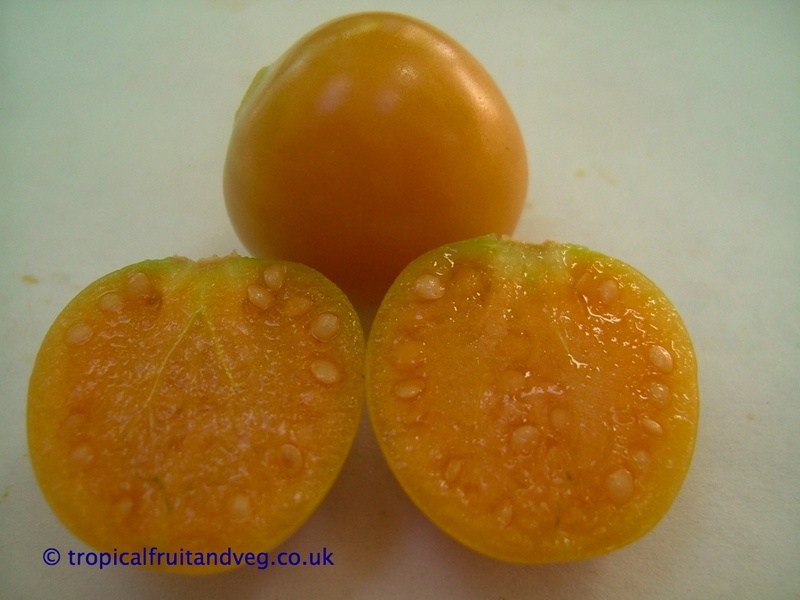 On highly fertile alluvial soil, there is much vegetative growth and the fruits fail to colour properly. Very good crops are obtained on rather poor sandy ground. The plants become dormant in drought. 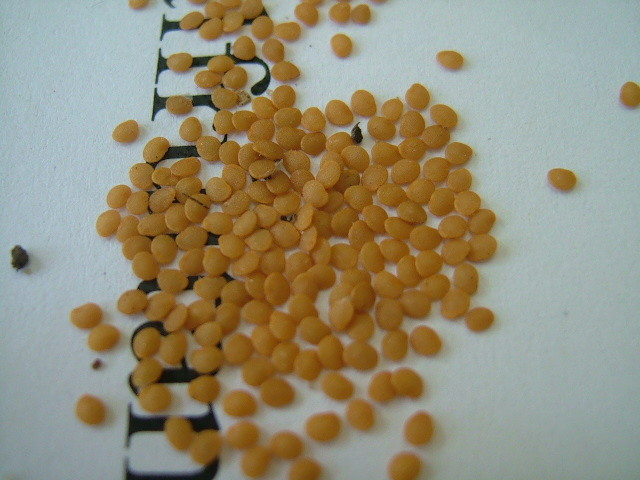 The plant is widely grown from seed. There are 5,000 to 8,000 seeds to the ounce.